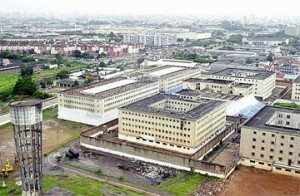 Brazil – The body count was sky-high at this notorious Brazilian prison, where riots in 1992 triggered a massacre of the general population by local police: inmates, who had already given in and surrendered to police, were shot as they cowered in terror in their tiny cells. Deaths at this facility are thought to be as many as 1300 over its 46 year history: the reign of terror by prison officials was stopped in 2002 when the prison was closed, amidst campaigns from Amnesty International, and reports of gross human rights violations that could not be quieted by Brazilian officials. The violence wasn’t the only thing threatening the unfortunate residents of this dark place: an AIDS epidemic at the facility spread rapidly, with as many as one in five of the inmates suffering from the disease.